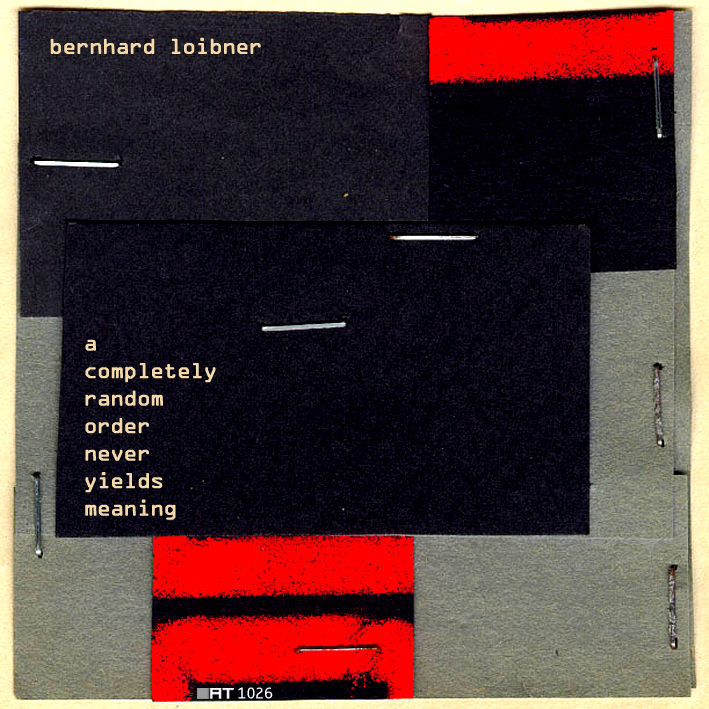 A Completely Random Order Never Yields Meaning (acronym) is set of 5 slim pieces of electronic music released in 2007 by the polish Internet label AudioTong. The title refers to the fact that using certain stochastic operations in composition is common sense in contemporary music since John Cage, Iannis Xenakis and others introduced these ideas into music. Still it is apparent to me that interesting music is the opposite of a completely random operation but is about a balance of machine made “random” operations and human desicions. During the composition of the tracks I used random processes to control certain musical parameters. Some compositional decisions have been made by my computer, without any emotional bias. But there are plenty of decisions that were taken by a human being and this contradiction (or extension) is what I am interested in. The 5 tracks share a common concept of flow and pulse which aims to pull the listener into the deeper territories of the music. All pieces perform a certain interplay with mutating forms and patterns, fragments of melody and rhythm, approximation and distance, assembly and disassembly of it’s structural elements. They operate in the vast field between silence and noise. As the internet has established the musical gift economy you can get all this for free. Make sure to get it here (not anymore, hahaha).